Long before researchers unveiled the Bee Gees hit “Stayin’ Alive” as an approach to remembering the hands-only CPR technique, there was a strong connection between music and medicine. For centuries, medical professionals have been using music for its calming properties. More recently, music in healthcare has become intertwined with laughter, healing, serenity, and well-being. Music is being used in medical settings, from classrooms to operating rooms, across the United States. Beyond being used to time CPR chest compressions, music has been found to stir emotions and spur reactions. It may help alleviate pain, reduce anxiety, slow respiration, and spark memories. Researchers found music has as much a place in the hospital as any piece of medical equipment. The therapeutic effects of music can be dated back to ancient times. In the 20th century, music therapy emerged as a growing field of study and is now considered a vital piece to overall well-being. The earliest scientific studies on the effects of music in healing found it produced positive physiological reactions, including better cardiac output, respiration, pulse, and blood pressure. In the United States, medical professionals began using music during World War I to help soldiers manage the emotional trauma of war. By 1950, professional organizations began developing, later forming the American Music Therapy Association (AMTA). Careers in music therapy began emerging. Currently, there is a broad use of music in medicine. Medical professionals have capitalized on catchy beats to spark memories and studied how soothing rhythms can calm nerves. Possibly the most popular evidence of music changing lives is the 2008 study that found “Stayin Alive” has the ideal tempo for timing hands-only CPR. The song, from the 1977 hit movie “Saturday Night Fever,” has 103 beats per minute and a bit of irony behind its title. The original research, by Dr. David Matlock of the University of Illinois College of Medicine, found the song works as a mnemonic device for timing the maneuver. In 2017, New York Presbyterian Hospital took the idea one step further by releasing a 40-song playlist with 100-beat-per-minute tunes. Each song on the playlist, from artists that include Missy Elliott, Backstreet Boys, and Lynyrd Skynyrd, has the right tempo for CPR, the university said. The American Heart Association recommends any song with 100 to 120 beats per minute to time CPR compressions. “Properly performed CPR can triple survival rates for cardiac arrest, but many people hesitate to jump in because they don’t feel confident about maintaining the proper rhythm,” Matlock told the New York Times in 2008. Other songs, as well, are being used as memory aids in medical care. A 2016 video about hand washing embraced the whimsical side of music by using Taylor Swift’s “Shake It Off” to demonstrate the seven steps of hand washing. The video, which featured nurse trainer Ross Mawhinney, has had more than 1.7 million views. On a serious level, researchers have examined the impact of music on all aspects of life and death. In the last two decades, studies have found music evokes a range of emotions, from anger and sadness to happiness and joy. Neurological scans found music can influence areas of the brain associated with emotion, including the amygdala, hypothalamus, and hippocampus. Researchers say those reactions are why music aids in reducing the effects of stroke, autism, epilepsy, and Alzheimer’s and Parkinson’s diseases, among other disorders. Noah Potvin, PhD, a Duquesne University assistant professor in the Mary Pappert School of Music and the School of Nursing, has extensively researched the connection between music and oncological, cardiac and end-of-life care. 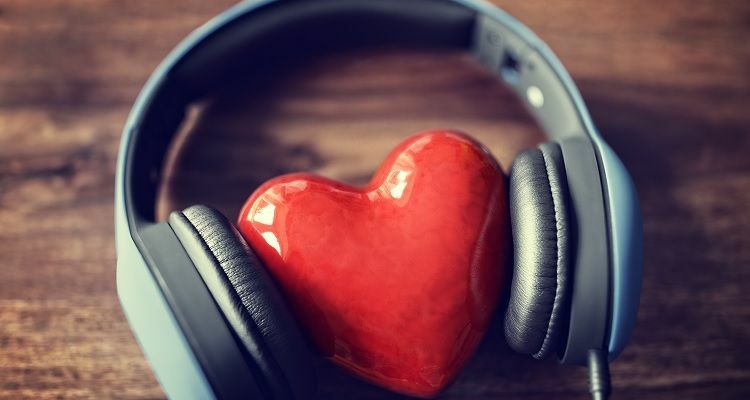 In a 2013 study, Potvin and his research partners found music could help patients with coronary heart disease by having beneficial effects on systolic blood pressure, quality of sleep, pain, and heart and respiratory rate. Further study is needed. In another study, Potvin, a board-certified music therapist, and his research partners found cancer patients could benefit from listening to pre-recorded music of their choice during cancer treatment. The benefits include reducing anxiety, boosting positivity and increasing creativity. “Given our findings, in particular the strong preference for music therapy services by patients, it is recommended that music therapy is made available to cancer patients during active cancer treatment,” researchers said. Across the spectrum of studies, researchers agree music can have a positive outcome on medical mnemonics and patient well-being. Duquesne University’s online nursing students have an opportunity to learn about the impact of medical and nonmedical interventions on patient care. The university’s nursing programs, including the online RN-BSN program, master’s of science in nursing (MSN), and post-master’s certificate programs, allow professionals to continue working while pursuing advanced degrees. The university is recognized as a Center of Excellence by the National League for Nursing and has been repeatedly ranked among the best in the nation by U.S. News & World Report. For more information, contact Duquesne University today.